Amaravati, Feb 19: Andhra Pradesh Minister Ganta Srinivasa Rao is on overdrive. He has dared YSRCP Chief Jagan to contest against him and challenged that he would win hands down. What more, he claims he would win by over a lakh votes. Despite his bravado, ground reports suggest otherwise and claim that odds are heavily stacked against the minister in Bheemili, his constituency. With Avanthi Srinivas joining the YSRCP, Ganta's position is firmed up in the TDP. In fact, he tried in the past to join the YSRCP and even Jana Sena. In both places, the parties were not too enthused about him. Time was when Ganta even skipped Chandrababu meetings and tried to change the party. But, Chandrababu called him and ensured he remained in the TDP. But, now, there is a general feeling that his continuance in the TDP might not really help the TDP. It is worth mention that, Ganta is known to be a defector of the first order. He was in TDP. Then he joined the PRP. Later, he joined the Congress and then was back in the TDP. He remained a minister in Congress and TDP regimes. His politics revolve around power and position. So, even his followers doubt whether he would remain in the TDP till the end given that there is an anti-TDP wave in AP. Even Chandrababu is said to be uncomfortable with Ganta. 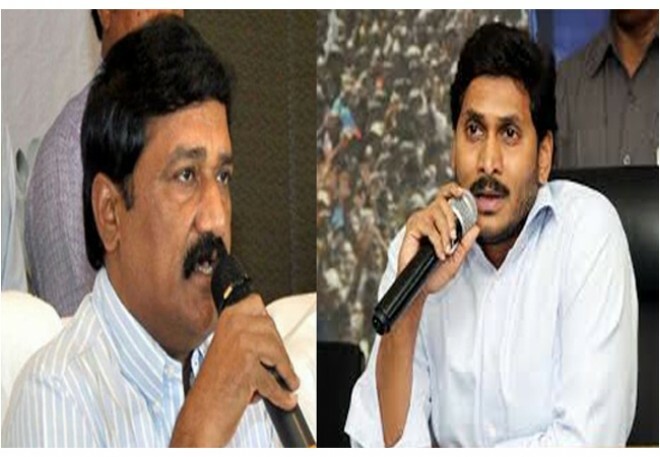 Though Ganta has been claiming that everything is hunky dory at Bheemili, is he so strong that he can actually beat YS Jagan?